Camcorders have come on leaps and bounds since the 80’s. Sony introduced its new video camcorder, the CCD-V8, on January 8th, 1985. 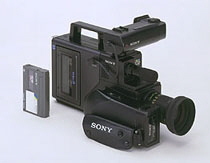 Although emphasis was placed on the compact size of the machine during its development, Sony was now stressing its picture quality. 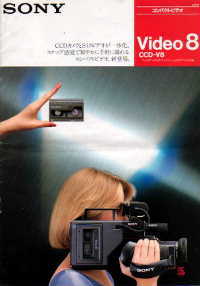 Reporters assembled at the press launch of the CCD-V8 were amazed that a video camcorder incorporating a CCD could produce such high picture quality. Channel television were also very impressed by the video quality of the Gorilla incident. A very young me receiving a “Videographer of the Month” certificate from Sony.